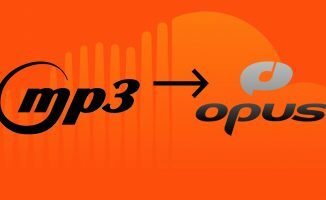 The creators of the MP3 have announced its demise, but is it the end of the popular file format as we know it? The creators of the MP3 have predicted its demise. Will the popular file format go the way of the dinosaur? The death of the MP3 file format was “announced” last week by none other than its creators. They said that MP3 has been surpassed by better, more efficient formats, such as Apple’s AAC format, which is jockeying to become the de facto format for compressed music files (AAC is the default format whenever you rip a CD into iTunes, for example). 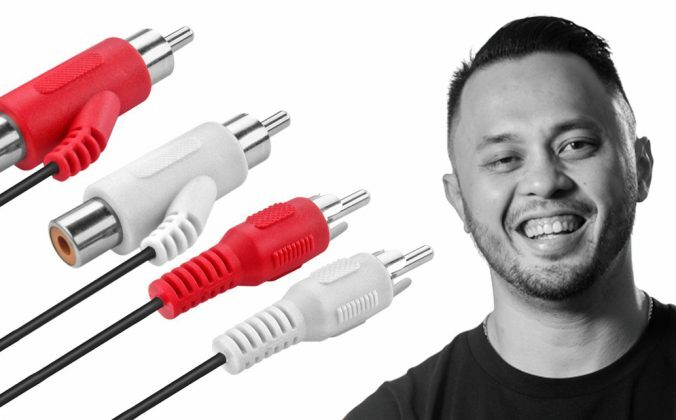 But if the MP3 is indeed on the way out, what does that mean for DJs? 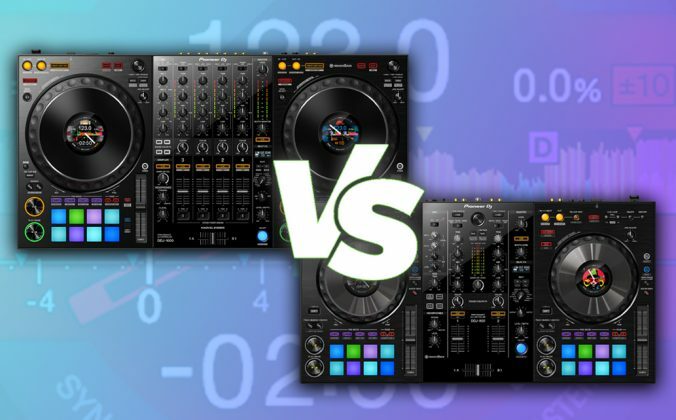 Should DJs change all their music into another format, like AAC? Are such users suddenly going to be left with a pile of unplayable files? 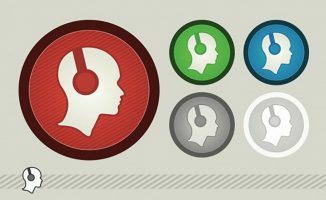 What exactly do DJs with MP3 music need to do? That’s what we’re going to answer today. Why were MP3s invented anyway? 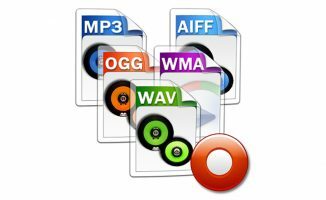 Music files can be “lossy” like MP3s or AACs, or “lossless” like WAVs and FLACs. MP3 is a “compressed” file format for music. But why compress music at all? Well, in the old days before high-speed broadband, folk connected to the internet using telephone lines – this was called “dial-up”, and the fastest connection speed available was at 56kbps (today’s standard broadband speed is 4mbps: that’s more than 70 times as fast!). People wanted to transfer music files, but the file size needed to be much smaller than formats like WAV. After all, who wants to spend an entire afternoon downloading a single song? 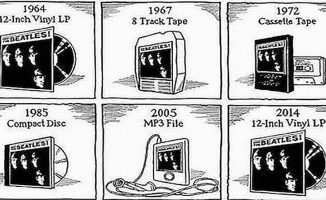 Compression was needed – thus, the MP3 was invented. It was wisely used and quickly became popular. So popular, in fact, that it turned the music industry on its head. So… it’s now being predicted that AACs will replace MP3s. Both MP3 and AAC basically do the same job: they compress (or shrink) music into a much smaller file size compared to the original at the expense of some musical information. This information tends to be frequencies that you can’t really hear as readily, but their absence is what leads to a slight loss in sound quality. While MP3 is still the most popular of the two, the AAC format is superior, so much so that a smaller 256kbps AAC file sounds just as good as a 320kbps MP3 file, which is the highest resolution possible in an MP3. 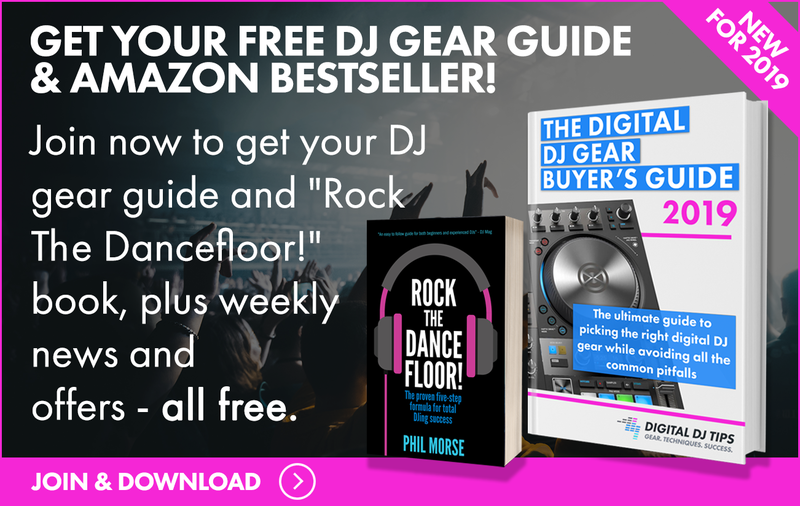 But as long as your music management software, DJ app, and DJ gear can handle both MP3 and AAC (and not only is that almost certainly the case now, but will be for the foreseeable future), it really doesn’t matter which one you use. It is certainly not worth converting from one format to the other (eg converting your MP3 collection into AAC) as this will simply result in slightly worse sounding files, for no gain. What you may want to consider is to purchase your music on the AAC format from now on – this maximises hard drive space vis-a-vis sound quality. You can also start ripping your CDs into the AAC format instead of MP3, and if you really want the best sound possible on AAC, choose to rip them into 320kbps, which is the highest AAC resolution possible. The bottom line is that it’s not the end of the world, and having a mixture of both in your music collection is fine. Just make sure that the MP3s you have are genuinely 320kbps, that AACs are at least 256kbps. Even more important than that, always trust your ears: If tracks sound bad, they probably are bad, despite what the format might suggest. The flipside of that, though, is if they sound fine to you, and your gear can technically handle ’em, then go ahead and play ’em – whatever the format. What are your thoughts on the “death” of the MP3 file? Will you start using AAC from now on? Or do you think lossless compression is the way to go? Share your comments below. I remember looking at Beatport desktop when it came out. Don’t remember why I ruled it out at the time though…. What you want already exists, try media monkey hands down best library management I’ve ever used. On PC MediaMonkey is the single most complete solution. I never use iTunes because its complete rubbish and basically useless. 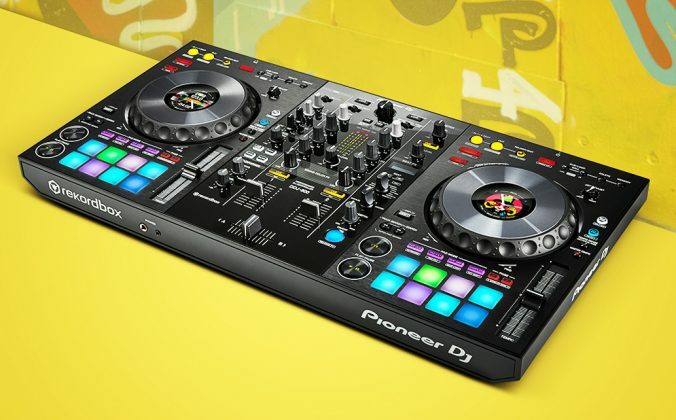 MM handles my 250G portable dj music library no hassles (600G on my desktop) – I use gold version, was totally worth it. For mass tag editing before import you cant beat Tag&Rename – if you do a lot of bulk tag edits (including flac). My entire library has every file labeled and tagged correctly…. yes i have OCD! Add to that MM is simply a really good player too. I switched my DJ rig to mac a few years ago and had already been struggling with compatibility with iOS devices so my solution was to convert all my lossless FLAC to apple lossless. It solved my problems instantly and has become part of my workflow for all newly ripped or downloaded lossless tracks. I always strive to have the best sounding lossy tracks and have noticed that files purchased over iTunes often sound really good in spite of their lower bitrate compared mp3s ripped at the same bitrate. 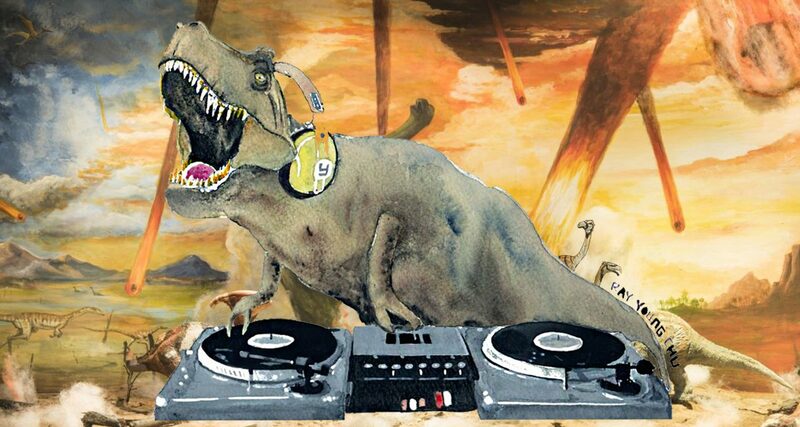 My software (Virtual DJ) works with flac, wav, aac, mp3, and who knows what else. And I rarely use itunes so I don’t care about itunes compatibility. Unfortunately, when I buy music online, it comes as mp3. I wish music stores online also have the option to choose higher quality formats (like Juno does). If I had not gone down the iOS (iPhone, iPad) road a long time ago I might not care so much about iTunes. Unfortunately (??) I did and iTunes is part of the DJing system; gotta have iTunes to manage those devices. To be honest, I like my iOS devices. I did a cocktail set for a party last year using only my iPad and a small studio mixer. It worked out great. I really have to keep iTunes as part of the mix. …and I sort of wish Traktor had Serato’s elastic beatgrids… I play largely “old” music that won’t beat grid properly in Traktor. Warping tracks in Ableton looks tedious. Yep, no iTunes support, not all DJ software supports FLAC and not all stand-alone media players support FLAC. Imho those are the main reasons FLAC never made it fully into the booth. I only have around ten gigs of music on a 240gb add so I would not care going lossless even if it doubled in size. It does make more sense but then it may just boil down to internal economics. Ah, “only a little over two samples per second are taken” needs to be “only a little over two samples per full sine wave cycle are taken”. By the way, we were talking about FLAC, not WAV. FLAC is a little less “capable”, it supports 4 to 32 bit per Sample and a sample rate between 1 and about 655 kHz. Use something like 32 bit and 48 kHz and you should really be fine, even for “golden ears”. This article has it all wrong. MP3 is not dead. Quite the opposite: it is now public domain. Hardware and software companies can now build MP3 encoders and decoders into their products without having to pay a royalty. I believe it will become more popular—not less. Sure, AAC does offer some advantages in terms of quality at the same bitrate. That doesn’t mean you should go replace your MP3s. Fraunhofer has a vested interest in sending everyone to AAC, because they still get paid for that format. Don’t let their news release give you the wrong impression. Geek note: There have been alternative lossy formats that beat MP3 on filesize, sound quality, or both, for as long as MP3 has been around, e.g. MPC, Wavepack, and Ogg Vorbis. MPC was especially superior to my ears, but appparently it illegally used some of the source code from MP3. Apple and Nero picked up on AAC so it became more popular than the others. Not sure if that means the death of MP3s or you don’t need a licence to have a product which uses/makes MP3s. If it is the latter then it would have the opposite effect and it would be an MP3 boom for smaller companies. Why is no one talking about Aiff files when talking of so called Lossless files? 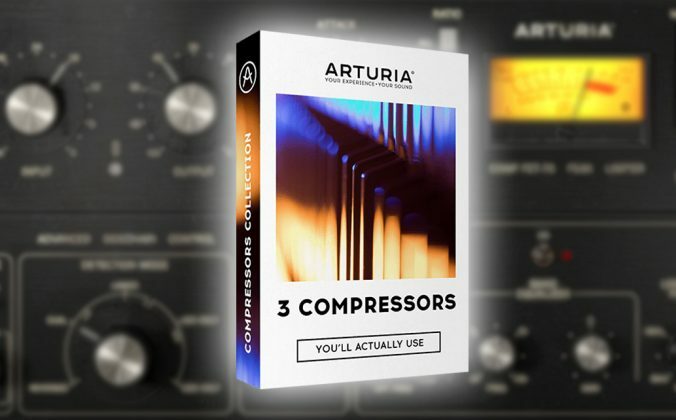 Same compression as Wav, but with the ability to carry ID3 tags. Flac may be great, but seeing as their size is smaller than wav and Aiff, I’m assuming they can’t be as good? 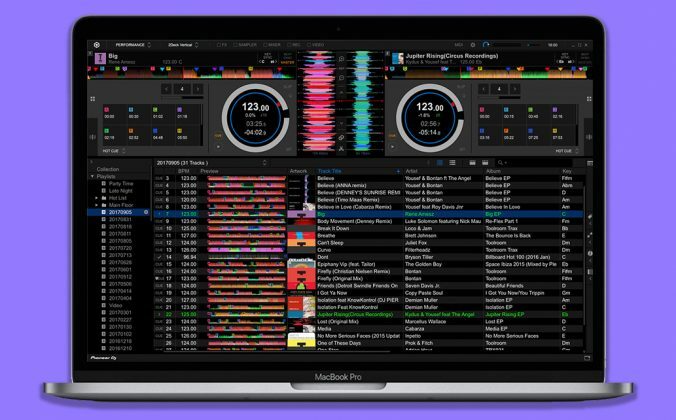 Added: Traktor actually supports Metadata in WAV and will also write its own Traktor-related data block into a WAV file. So AIFF has no real benefit. It is like ALAC, the alternative to FLAC. Both AIFF and ALAC are made by Apple and it is a typical case of Apple creating their own formats just because they can and for market separation. Thanks for pointing that out Juli. While WAV can in theory carry meta data as Juli says, support for it in software and hardware players is patchy. I’ve standardised on AIFF because the meta data you can add is in standard ID3 tags and it is supported by all the major DJ’ing software and most hardware players. Yes, absolutely this. For tracks I know I’ll keep in my permanent collection, I always prefer FLAC. MP3 and AAC don’t sound bad to just listen to, but once you compress, you’re stuck with that lossy version forever, and transcoding or recoding will make it even worse. Even things like Keylock, pitch bend, FX and other DJ software tweaks sound better with lossless audio. I researched and standardized on AIFF a long time ago and love it. I would use Flac if they started having it on Traxsource etc providing it’s the same price as mp3 as at the moment if I want Aiff or Wav it cost more and I can not notice any difference in quality to mp3 320kbps and is cheaper. itunes I dont use so I not really bothered about if it works with it. 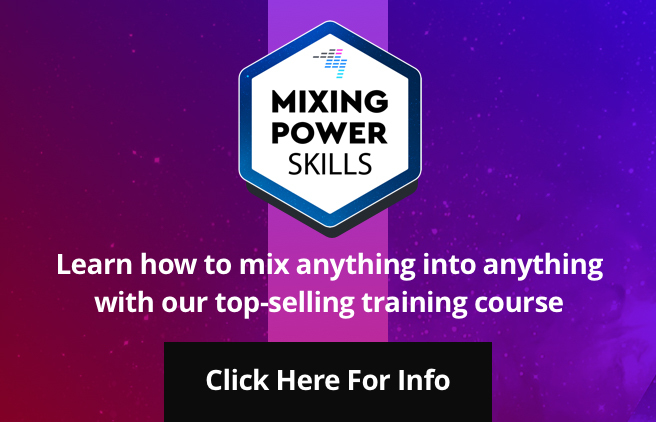 the problem buying mp3 rather than wav/aiff originals is that when you do ANY kind of audio manipulation (be it mashups, Platinum Notes or just simply adjusting intro/outros for example), your mp3 will be converted to wav for manipulation. Then it gets manipulated and converted back to MP3. You will lose quality there. When buying wav originals, you can do all manipulation without any quality loss and only convert the “finished” product to mp3 which will then sound great. Yes, if you transcode (i.e. re-encode an MP3 again to the MP3 format, then the quality will suffer, sometimes quite a bit. But when I do re-edits, remixes, mashups, etc. of a an MP3 files (I use Live for that), I first convert it to a way and I NEVER re-encode it. It stays as a wav. I would never use any software that automatically re-encodes to MP3. How would something “proprietary” to iTunes be bad and the same thing proprietary to Pioneer be good? I fear your right as the move from MP3 to AAC represents the least cost path for many people. Unfortunately, it means some rarities will suffer in the conversion from one lossy format to another. I made a .wav/mp3 -320kbps / mp3 -192 kbps comparison test you can download and use . is anybody out there who can give some pros and cons regarding FLAC files vs. APPLE lossless MP4 files?